Are you a person who loves adventures and who likes to discover new things in life? Then take a look at this tour! 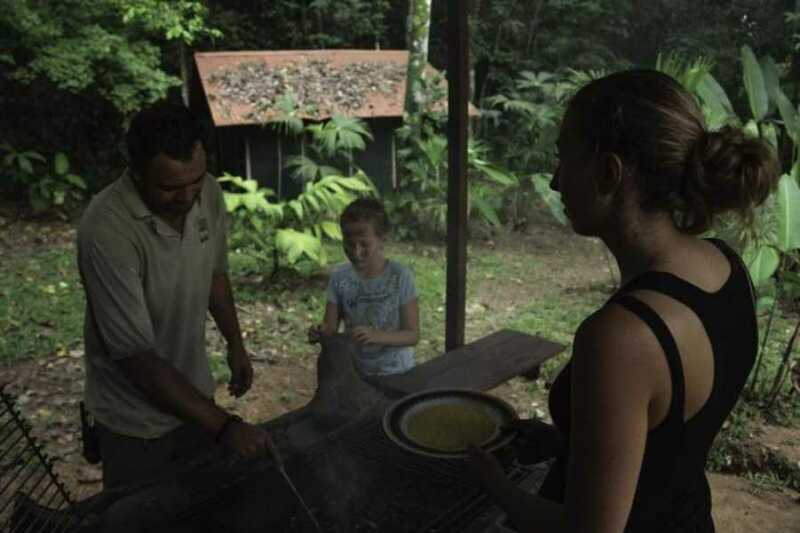 The Night in the Jungle Tour takes you deep into the rainforest where you will spend the night in our jungle camp. 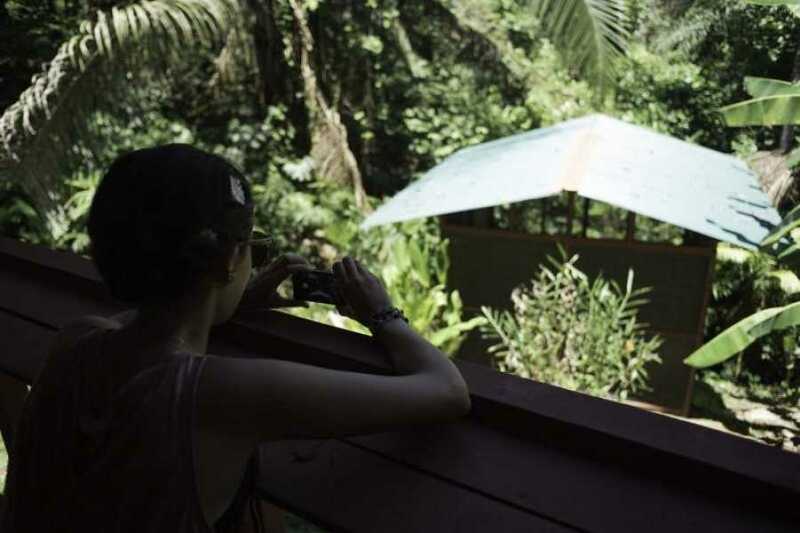 In our opinion, this is the best way to experience the tropical forest at Hacienda Barú. After the hike up to the camp you can sit and relax on the verandah as the sun goes down and listen to the sounds of the jungle as the daytime animals and birds go to bed and the nocturnal ones come to life. There will be no-one else for miles around, as you will be in the heart of the refuge. After a traditional Costa Rica dinner you will venture out on a night hike in search of nocturnal creatures, and then to bed in the tented camp. Waking up to the sounds of the jungle is a very special experience. After breakfast in the morning you will take another hike to see some magnificent old rainforest trees, and then make your way back down to reception at around 10 AM. Incredible wildlife: focus on snakes, frogs, bugs, spiders, monkeys, tucans and many more animals which are very active at night!